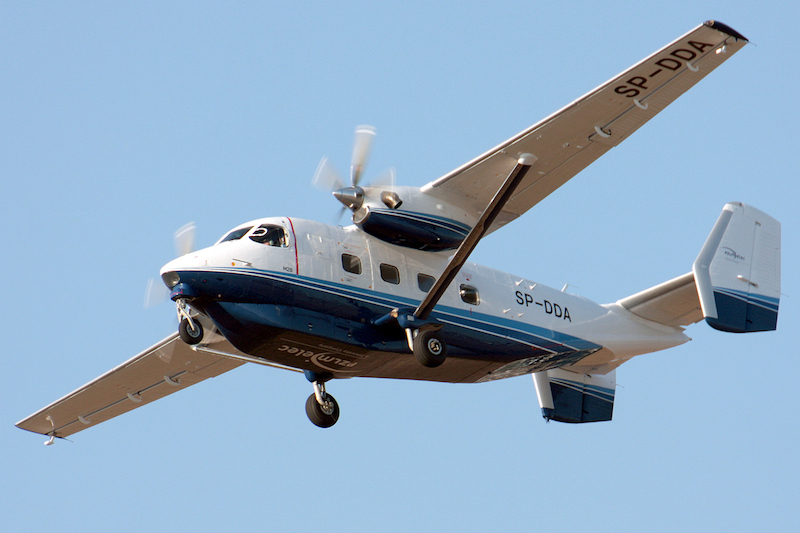 QUITO, Ecuador --– Sikorsky/PZL Mielec has signed an agreement with the Ecuador Army for an M28 short takeoff and landing (STOL) aircraft. Scheduled for delivery later this year from Sikorsky’s PZL Mielec manufacturing facility in Poland, the twin turboprop aircraft will significantly enhance the Army’s multi-role transport capabilities. The 7,500 kg (16,500 lbs.) M28 airplane can be outfitted with 19 passenger seats, carry up to 2,300 kg (5,000 lbs.) of cargo, and conduct parachuting missions from the cabin’s rear clamshell doors. After a pilot and mechanic training course in Poland, a PZL crew will fly the aircraft across the North Atlantic Ocean to Shell Mera, Ecuador, via Iceland, Greenland, Canada, the United States and Central America. Ecuador is the first Latin American country to acquire an M28 aircraft following a two-month demonstration tour of seven Caribbean and Latin America countries in 2017. Flown by two PZL pilots, the touring aircraft demonstrated landings at two remote Ecuador airfields last April — a 600m (1,968 feet) gravel runway and a 530m (1,738 feet) gravel/grass runway — with 11 passengers on board. Sikorsky has received requests for proposals from commercial operators and militaries in Latin America as a result of the tour. A majority of the proposals seek to carry passengers and/or cargo into unprepared landing strips at sea level and high altitude locations.